For most parents, accepting that their little kiddo is going to travel the world alone can be scary. Especially if they aren’t experienced travellers themselves or -even worse!- if you are a girl. This is exactly my case and I promise you that with a few precautions you can actually spare them the panic attack. My parents’ confidence and support didn’t just arise overnight. They required years and years of baby steps in testing confidence, boundaries and trust. But in the end, we all got so successful at not-freaking-out that recently I’ve also managed to drop that I’m into long-term travelling and digital nomadism. So here are a few tips on how to tell your parents you want to travel solo. If you – and your family- are new to solo travelling, start with a short trip. Choose a location that makes you feel comfortable. 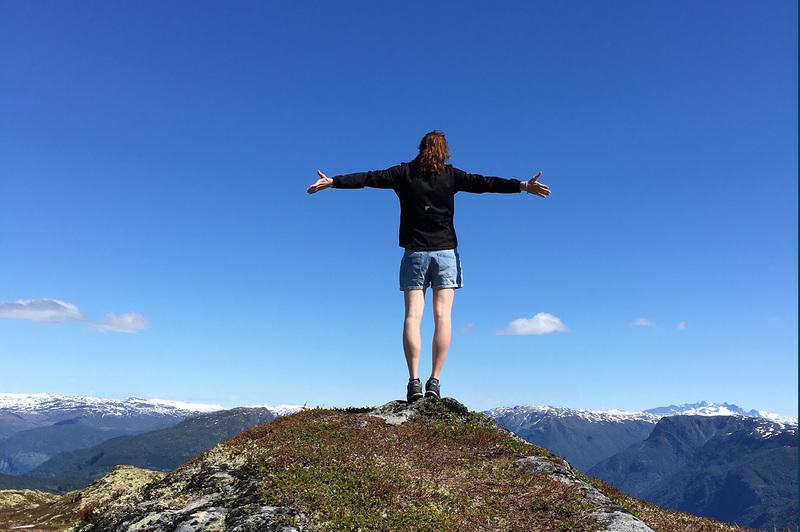 For me, it was ten days of travelling in Norway, which is one of the safest countries in Europe, with a great hostel culture and plenty of daytime activities to do by myself or with new friends. If this is your first solo trip, I’m sure you’ve spent hours trying to plan it. Make your parents part of your research. Show them your itinerary (with pictures), the activities you are planning to do and some of the accommodation you’re going to stay in. Is it a nice young hostel? Even better! Show them you’re going to spend time with fellow travellers your age and not creepy old strangers as in their worst nightmares. Show them that you take your health seriously. Buy a travel health insurance and check if you need any special vaccination BEFORE they can ask about it! Showing them that you’ve already taken care of the-most-important-aspect-of your-trip (aka your health), without them having to push you to do it will make you score a big point on the adulthood scale! Their proudness may soon morph into another level of stress: “Which company is this? I never heard about it. Why can’t we just use our regular local insurance provider?” but this is a whole other story. Nowadays, there are so many ways to stay in touch with your loved ones while travelling. Agree on a schedule of skype/WhatsApp calls and stick to it. If you know that you will be travelling in an area of poor signal inform them in advance. Send nice pictures and stories via WhatsApp or Instagram every now and then and always keep them updated on your itinerary. One of my family traditions to stay connected is sending postcards. I find it old-fashioned and super cute. All my postcards are still hanged on my parents’ fridge! And what if you want to take a solo trip even if you are in a relationship? Fellow blogger Victoria explains her view on why you should still travel alone if it’s your thing. Great tips! 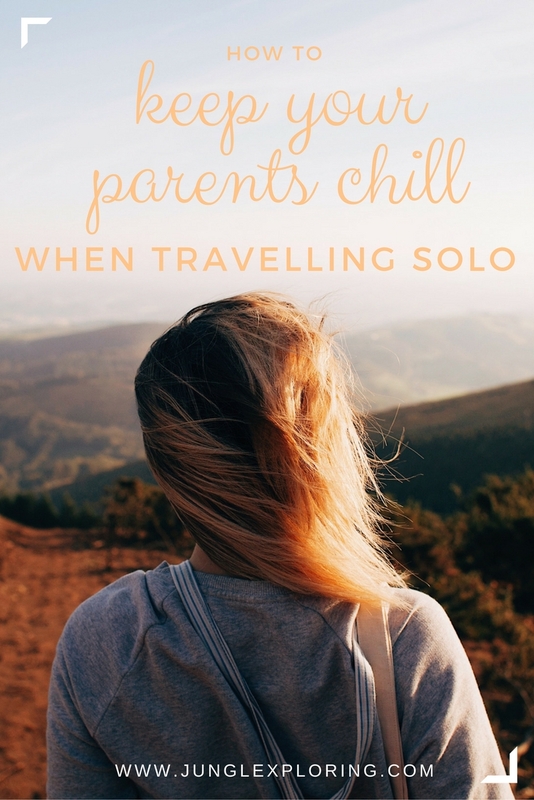 They are also great points for people to consider if they are traveling solo for the first time even if their parents aren’t worried. Loved your post. This sounds so much me, I always follow these points. I leave a hard copy of my itinerary and contact numbers of the hotel with my mom. This helps a lot. This post is so relatable!! I have been travelling since 18 and now I’m 24 and they still worry all the time haha I guess some things never change. All awesome tips! I love the idea of taking a short trip first, especially if you haven’t done a lot of travel beforehand. I did a tour-holiday for my first “solo” vacation so that I could get a taste of lots of places, work out what I wanted to go back to visit, get an idea of what goes into planning a trip like that etc. It was a great way to see things and up my confidence. Nice tips. Solo traveling is not an easy travel. You share the information it’s a valuable. Thanks a lot this beauty Enjoying article with me. Great blog!